These Farmhouse Themed Art Prints are on sale for $3.87 (Retail $22). 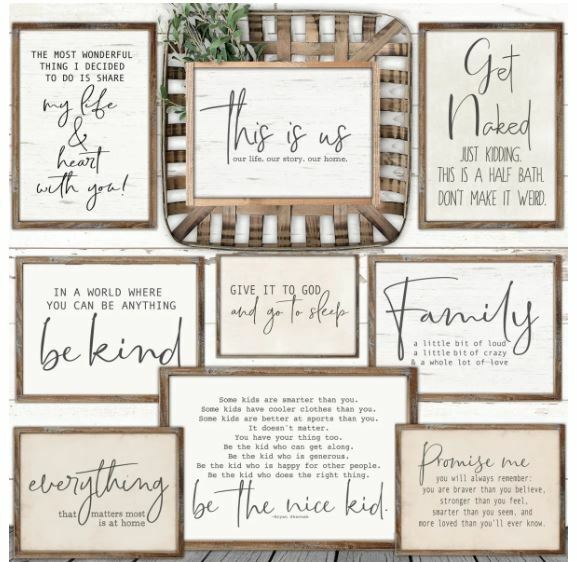 Our rustic & modern easy to frame paper art prints achieve the warmth of cozy to create your own meaningful and beautiful space. Modern & farmhouse minimalist by design to showcase the beautifully written well-said words. AUTHENTICITY: Prints are designer direct. The hard work and originality that goes into every design we offer shows. We never let our prayin' knees get lazy and we thank you for your continued support! Shipping is $3.73 for the first item and $0.63 for each additional item.